January | 2010 | Through T.Marie's Eyes! Another #1 for Marvin Sapp! I have the pleasure of having a sister/close friend who attends Marvin Sapps’ church. Unfortunately, I was unable to go to the live recording but she told me that this song was great and going to be a hit. This morning, this song really hit me heart. I know that is going to minister to you, my readers as well! Please leave your comments and let me know what you think about the song and video! Hey to all my subscribers!!! As I mentioned in my recent blog, Gospel Recording Artist Kirk Franklin during Stellar weekend assembled some of Gospel Music greats together (Mary Mary, Natalie Grant, Donnie McClurkin, J Moss, CeCe Winans, Kierra Sheard, Dorinda Clark-Cole, Marvin Winans,Micah Stampley, Karen Clark Sheard, Smokie Norful, Shirley Caesar, Amy Grant,BeBe Winans, Brian Courtney Wilson, Stephen Hurd, Nicole C. Mullen, and MORE) to record a relief song for Haiti! Prepare to get some tissue! The last scene in the video reminds me of “We are the world” with Quincy Jones! This is the modern day version! Let us continue to keep the people of Haiti lifted up in prayer! If you can, PLEASE donate! The PAJAM group, 2103 is at it again!! They are back in the studio producing hot music! Had an opportunity to catch up with Evin and the group is really on the move! So much on the move that they just got back from LONDON!!! Want an inside look at their trip? CaJo wants to know… Are you Next? Canton Jones and CaJo International wants to see if you have what it takes to be onthe upcoming “Kingdom Business Part 3”. Don’t believe me? See below! See!!!! So what are you waiting for? Hey all my faithful readers! I wanted to make sure that I keep you on the up and up! Stellar’s weekend festivities went great according to my colleagues in the Gospel. Big ups to Carlos Hale and the Urban Soul family for closing out Dave and Buster’s! Christian Entertainment at its finest!! We need to do something like that In Michigan… ummm..
Anywho! Canton Jones is at it again!!! The Official MY Year videos is available on YOU TUBE! But I decided to bring it to my spot for your viewing pleasure!! MY YEAR features Canton Jones, Ramona Jones, Milliyon and Erica! Check out the shot of the Jones Family! Peep the very end of the video… you know see why, when you do it… All in all, I believe quality wise it was okay. The message was great of course, I do however believe that it could have been a little better quality wise but it was great overall in my eyes. If you a Canton Jones Fan like myself, anything from him is good to you! Overall, LOVED IT! I want to know how you felt about the video so make sure you leave your comments below! 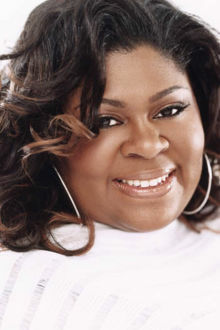 On another note, it has been buzzing around the twitter world that our lovely songstress/psalmist Kim Burrell will be releasing a secular cd! I know I might get bashed for this one, but I AM EXCITED! Its about time we bring the world to us! I believe she has been given a mission and this phase of her career in the industry, she will do just that. With her doing a secular album, this does not mean that she will be doing raunchy or out right defying God in her music! Plus let’s be real, the Married Christian needs something to listen to! Congrats Kim!!! We have all been hit by the events that recently took place in Hiati. Whether, we knew someone personally or just wanted to lend a helping hand! It is good to know that the Christian/Gospel Music community is taking a stand and doing something to help with the efforts! Kirk Franklin has just announced he will be doing a song self- written and produced entitled “Song for Pain” with all proceeds from the song going Haiti. Artist who dropped by the session were: Mary Mary, Natalie Grant, Donnie McClurkin, J Moss, CeCe Winans, Kierra Sheard, Dorinda Clark-Cole, Marvin Winans,Micah Stampley, Karen Clark Sheard, Smokie Norful, Shirley Caesar, Amy Grant,BeBe Winans, Brian Courtney Wilson, Stephen Hurd, Nicole C. Mullen, and MORE. Detroit, We did it again!!! Last but not least, I want to take a little time out to acknowledge the Detroit artist that brought Stellar Award’s home over the weekend! Congrats to everyone! We are so excited and overjoyed for you! Well that’s your inside scoop from Ms.TMarie! Detroit! Are you SUNDAY’s BEST? Yes!! Detroit, Are YOU Ready? The 2010 Auditions have been posted and Thanks to my dear brother EJ at Gospelpundit.com I found out they are coming to DETROIT! So, Detroit you know we are going to have to show them right! We are know for our rifts and our runs! Let’s show BET what DETROIT has to offer!! Not just the rifts, the runs and what not.. but also the anointing and the ministry behind the gifts God has given us! According to the BET Sunday Best website says that there will be a 3rd city as well, to be announced soon. They will also be adding all audition material to the site soon. Visit http://www.bet.com/sundaybest for continued info and updates on the auditions. You are currently browsing the Through T.Marie's Eyes! blog archives for January, 2010.